04/01/2019 10:00 AM by Jacob C.
The East End is full of pet lovers! Joe Carson of 28th St., acting as any reasonable neighbor would, found this little guy around the 2800 block of Franklin Street and wants to reunite him with his family. Mr. Carson let us know that the snake is very friendly and gave him and his family several love bites while they ushered it into their house. Of course, by the time he called us his speech was a bit slurred. As a result, it took a few minutes for us to understand what the call was about. If you’re missing this family-friendly pet or know who is please let us know in the comments below. Mr. Carson and family are willing to share their home with the snake as long as it takes until the owner is found. Joseph Carson too funny ? How you know it’s not wild? You bolder than me I would have ran the other way!! Robert Snyder you got me! 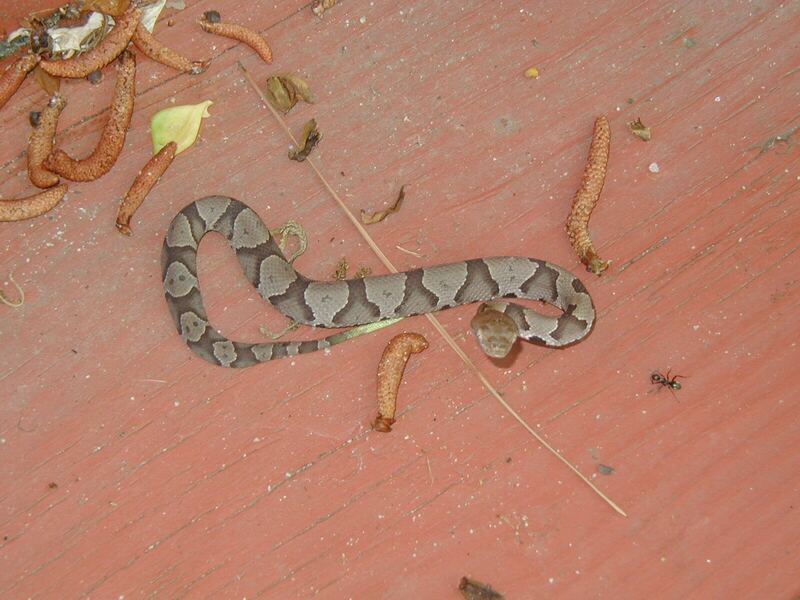 That’s a young Copperhead FYI. Very poisonous. I am more worried about the mutant ant and the feral hush puppies.